The 22-year-old won the final Formula V8 3.5 championship last season and had outings in IndyCar and Super Formula this season. He also had a WEC campaign in LMP1 with DragonSpeed but his whole year of racing was curtailed when he broke his legs in a nasty accident at Eau Rouge during qualifying for the 6 Hours of Spa. It also cut short talks he was having with Haas at the time, but now that he’s recovered and has been back racing again, it seems that opportunity has reappeared. Although the Fittipaldi family is Brazilian and Pietro races under a Brazilian licence, he was actually born in Miami and spent lots of his early career racing in America, making it an appropriate partnership for F1’s only American team. It means Haas actually has quite a lot of drivers on its books. There’s Fittipaldi of course, and F2 driver Arjun Maini, who is the team’s development driver. 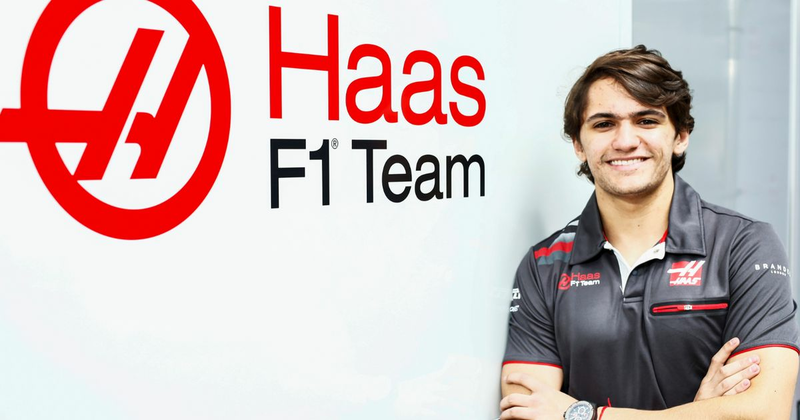 Despite his… ‘incidents’… earlier this year, Santino Ferrucci also remains on the team’s books, with Haas also set to give Louis Deletraz a run in the Abu Dhabi test later this year. Fittipaldi will also get his first taste of F1 machinery at the end-of-season test in Abu Dhabi where he’ll spend a day behind the wheel of the VF-18. With the recent news that Sergio Sette Camara will have a role at McLaren next year, it means two Brazilians are on the fringes of F1. Will we see either of them in a race seat in future? Next Next post: Can You Guess Which Teams These Brazilian F1 Drivers Raced For?